Inside: water bead sensory play for your preschooler. Have you tried water beads?! I know you have seen them. They are EVERYWHERE! It wasn't until I had a small (actually very large) nudge from a friend that I added them to my Amazon Cart. I mean, I knew about them but didn't know why I (I mean why WE) needed them. And now...I GET IT. Simply put, they are awesome. For starters, these water beads come as tiny little balls the size of a pinhead. Add some water, watch them grow for 8 hours, and the fun is on. Now, 8 hours may seem like a lifetime to a four-year-old. Add them to water before dinner, watch them grow some before bedtime. Amazon affiliate links below. 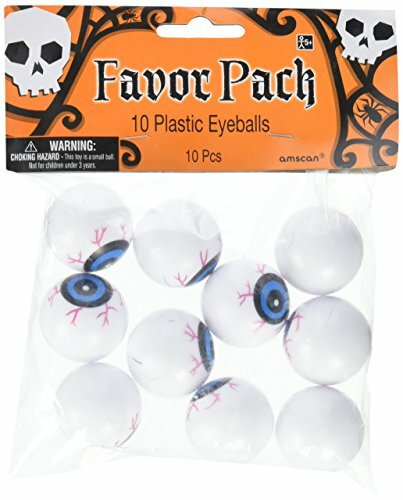 Add eyeballs for a spooky twist. Do not leave your toddler or preschooler unattended with water beads. 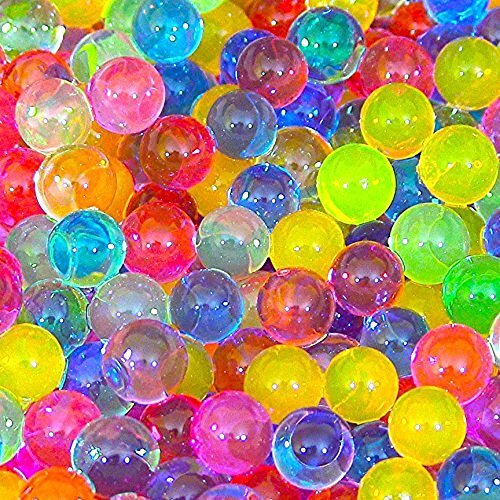 They are not edible and you do not want them putting the water beads anywhere near their mouth. My three-year-old and four-year-old approached these water beads very differently. My four-year-old scooped and transferred. He also funneled each water bead into different containers testing out just "how many" fit. My three-year-old wanted to grasp each individual water bead (good for fine motor strength) and squeeeeeeze as hard as he could until they broke. I suppose another great way to strengthen those little fingers. 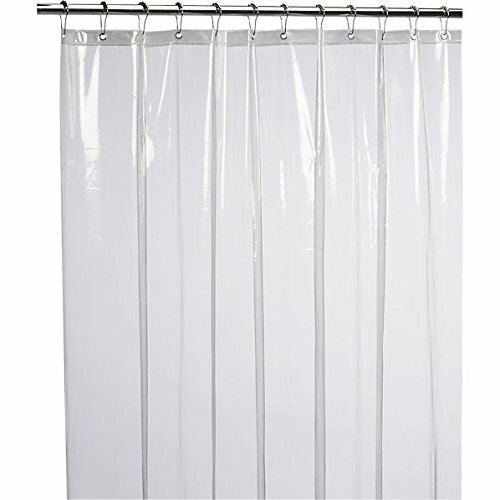 Again, this is why you are staying close, along with placing a shower liner underneath the bin. - it makes for a much smoother clean up. We typically bring out sensory play once our 14-month-old takes a nap. You can see an entire list of sensory play activities here. These water beads are stimulating the senses and offering a way for siblings to work together. How will you play with them today? Will you simply add water, or freeze them like Busy Toddler did here?